August days bring back so many memories to me. I love August days in western Pennsylvania because the temperature begins to drop down in the evenings. Typically, by the second week of August the nights become cooler. Instead of the steamy days and smoldering nights of July, we get a welcome feeling of relief when the night temperature drops down into the 50s. We can actually have the windows open to let the breeze sweep through the house and cleanse it from the humidity and stuffiness of July. It is refreshing to lie in bed at night, listen to the myriad of insect sounds tuning up and playing their individual night songs. The sounds come in layers from every direction. You can catch the beat of a night bird, tree frogs, wild geese flying over in the dark, and insects too numerous to even imagine. We live by the creek and we can hear people laughing from down below the ridge, as they go fishing or just relax and enjoy the flowing water. Some people arrive in the late evening and descend down the steep bank where they find a nice big rock to sit on. They will be at the water’s edge all night long. In the early morning light, they will come back up the hill, load their fishing gear into their cars and leave for home. I always think they must feel so relaxed after spending the night along the creek banks doing something they love to do. I understand the reason why this is a theme in so many country songs: fishing along the river at night, drinking a cold beer, and making love to your sweetheart. My father was an avid fisherman. On August evenings at twilight, I used to help him find earth worms. He wore his miner’s helmet with the light on the front of the helmet. The eerie yellow-light sizzled and sputtered as we poured mustard water down the holes, into the earth worm’s tunnels. It was only a few seconds until a slimey mustard covered worm came to the surface seeking fresh air and we would grab that worm and put it into Dad’s metal pail with the holes all around the sides of it. Dad and I turned over rocks and found creepy things there that were used for Dad’s fishing expedition, too. I remember Dad called them helgrimites. Chicory mingles with the Queen Ann Lace. When you see them blooming together you will know that summer is waning. 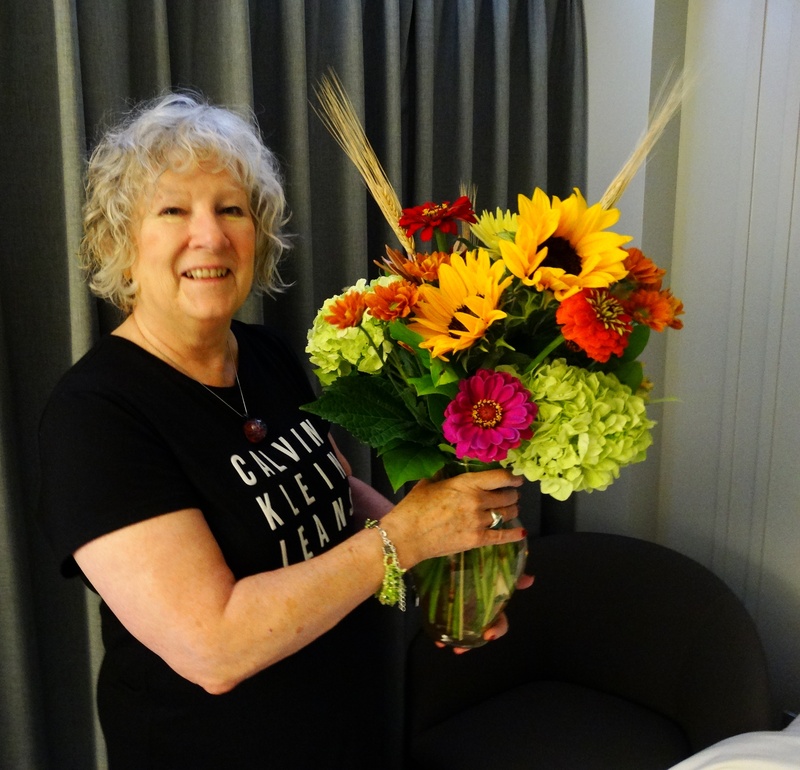 They bloom randomly and spontaneously along the roads and fields of Western Pennsylvania every August. It is always the same memories that flood back over me every August as I walk through the woods, across the meadow, along the ridge, and down the path to cross the creek. 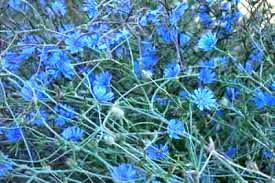 I love it most of all when it is mingled with the periwinkle blue flowers of Chicory. They are usually found growing together along all the roads in Western Pennsylvania in early August. I took my camera outside so I could capture the beauty of these wild flowers and remember them after they have gone for the winter. 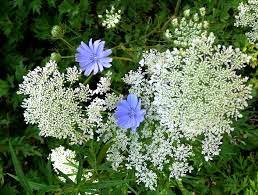 Queen Ann Lace is my favorite flower. I think it is because of the delicate flowers that are clustered on the thin light green stems and the way they seem to float in space and ride the soft wafts of the breeze as they sway back and forth. They seem to be dancing on the air. The chicory flowers are r studier, almost like a daisy, with petals branching outward from a round, dark, center. Each little petal comes to a squared off point, looking like a saw tooth edge at the tip, and the color of the Chicory flowers seem to pop out from among the white Queen Ann Lace flowers. I looked back through some early poems I wrote and selected this one because it fits the season. I wrote it in Austria during the summer of 1998. That particular summer day, I walked along the sidewalk that meanders along the banks of the Salzach River in Salzburg, I saw an older couple sitting quietly on the well worn wooden bench. 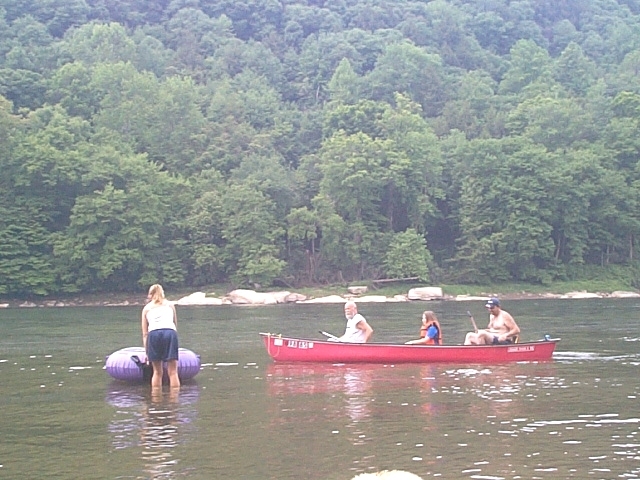 They faced the river. They were so engaged in being together, in their own private conversation that they paid no attention to anyone else. I sat in the grass behind them, and I took out my sketchbook. I did a pencil sketch of the two friends there on the bench, and later I penned this poem from the memories of the day and the image I had sketched. My travel journals have always been a source of creative inspiration to me. I can go back to them long after I have returned home, even years later, and begin to write about a particular day, place, or moment of my life. Make it a HABIT to take your journal or sketchbook with you as you travel in the summer time. You will find so many little moments you may want to record and then you can go back to your book later on and begin to create a poem or write an essay about this day. Poem: Copyright, 1998_ Lynda McKinney . Lambert. All Rights Reserved. This makes me feel as though I am walking in the woods with you. I love to read your stories Lynda. Love you my friend. Thanks for your comments Roberta! I lived in the South Bay area for a short time in the early 90s and loved the late afternoon breeze and cool air we got from the bay. 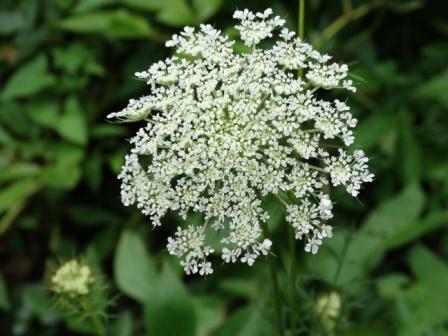 Queen Ann Lace has a “poisonous lookalike” that is called the “deadly Hemlock.” While the QAL has the lovely green stems, the Hemlock has purple in it’s stems. Otherwise, it looks exactly like the QAL. 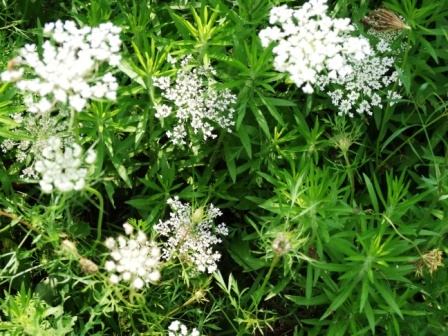 the Hemlock is poisonous in every part of the plant. 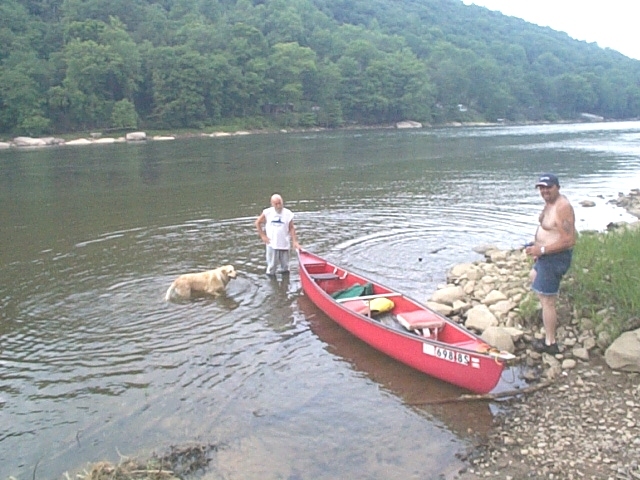 I enjoyed your blog…growing up in Western Pa, it brought back vivid memories for me. I live in Southern Ca now, and grow Queen Anne’s lace in my yard— started from seeds harvested on a trip home one year. Some people think of it as a weed. I never did ! The area where I live now is warm during the day and ALWAYS drops into the 50’s at night. Every once and awhile, we’ll have an unusual spell of humid weather…which keeps the night air at about 69°. I enjoy those nights because it reminds me of Pennsylvania summers.